Home Fashion Top Men’s Watches to Own in summer 2019. 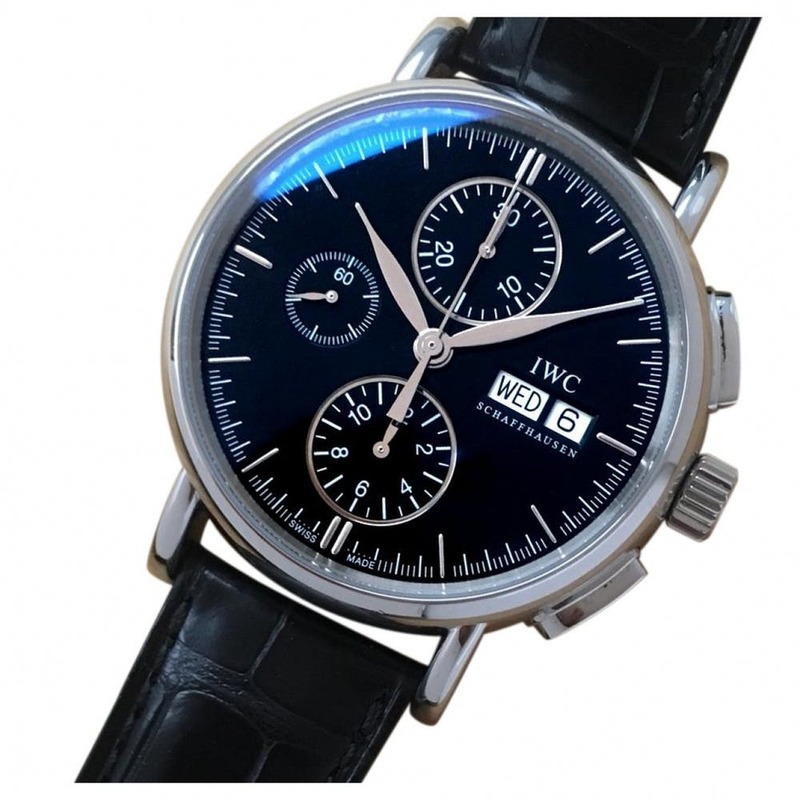 Top Men’s Watches Summer 2019: Pictured, Portofino watch IWC Black in Steel. Top Men’s Watches to Own in summer 2019: As a fashion accessory a man’s watch goes a long way in defining ‘his’ personality and making a statement. Watches are a crucial part of accessory for both men and women. However, they are even more crucial for most men since watches happen to be the most dominant, and often the only accessory that men wear, unlike women who often have jewelry to take away the limelight. A man’s watch is often considered to be a piece that defines his personality and makes a statement about him. They are undoubtedly an important fashion accessory and that is why the watch trends every season are updated just like any other fashion trend on the ramps. If you are a fashion freak and a watch person, you would want to be updated with the latest watch trends for the summer of 2019. Summer is all about traveling to happening destinations, nightclubs, pubs and parties and Hamilton Khaki Field just gives out all those vibes. 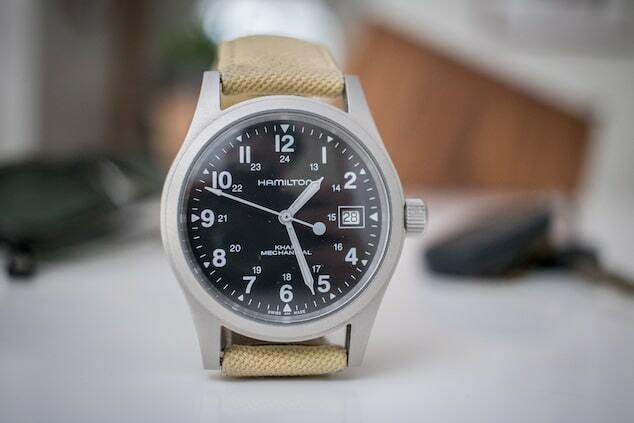 This watch by Hamilton sports a smaller dial going in line with the 2019 watch trends yet maintains a subtlety by sticking to a khaki strap and a steel chronograph. It has just the right trendiness and casual vibe to it while at the same time retains its class. With a vintage retro design and a mechanical movement, this watch by Hamilton is perfect for your summer party scene and a true must-have for all fashion freaks. 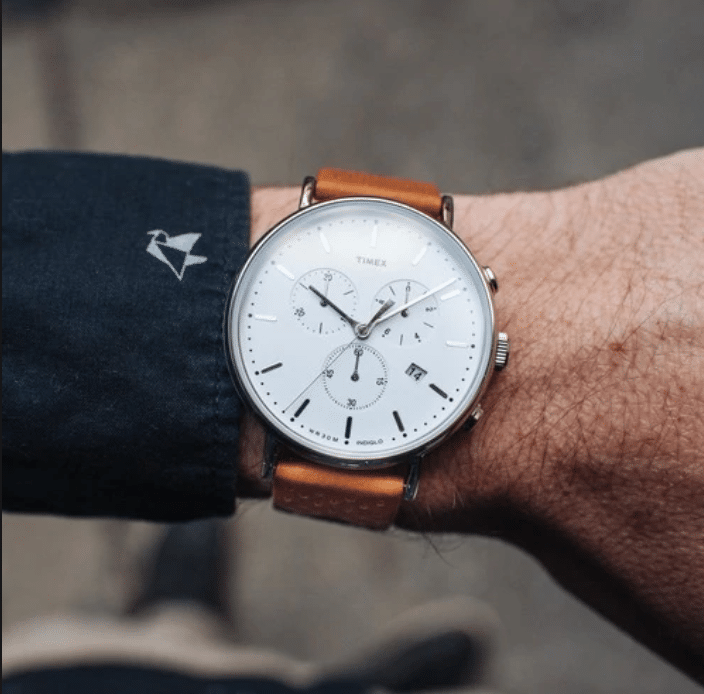 Top Men’s Watches Summer 2019: Pictured, imex Fairfield Chrono Leather White Brown. If you are one of those students who like to be high on the class and fashion radar but cannot afford those Swiss geniuses, Timex is a true lifesaver for you. Timex has proved to be a hallmark of quality over a period of time and has made a strong foothold in the budget watch market. This blue-strapped watch by Timex can beat any other pricier Swiss counterparts with its trendy and hip look and feel with an electric blue strap and a silver chronograph. It uses the classic Quartz movement that is unparalleled when it comes to time telling precision. Timex Fairfield is a summer must-have for all the youngsters out there. If you do not want to restrict yourself to the economical watch brands are ready to take a bit of a splurge, the IWC Portofino series has a huge range of the most fashionable and impressive collection of watches that you will love to sport at your summer gatherings. The most noticeable watch trend of summer 2019 on the runways is the blue dial and you will find this element dominating the Portofino. If a summer beach holiday is on your bucket list this year, grab one of the coolest divers watches from this series. If you are into statement watches and do not shy away from taking the daring leap of fashion, then this super impressive piece by Hugo Boss is the best pick for you. It has made subtle use of the smoky salmon dial trend by adding accents of orange to the dial and paired it with a nato strap to keep from going overboard with the funk factor. This watch by Hugo Boss is perfect for those who like wearable watches while also making a subtle fashion statement. 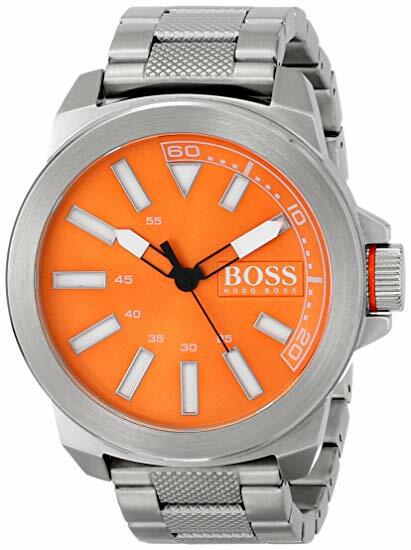 Top Men’s Watches Summer 2019: Pictured, BOSS Orange Men’s 1513007 New York Man’s Watch.